If you want to preserve a low consumption while having more performance than a model SHA or other for the endurance or the road for example, the model PHBG will make a very good compromise. 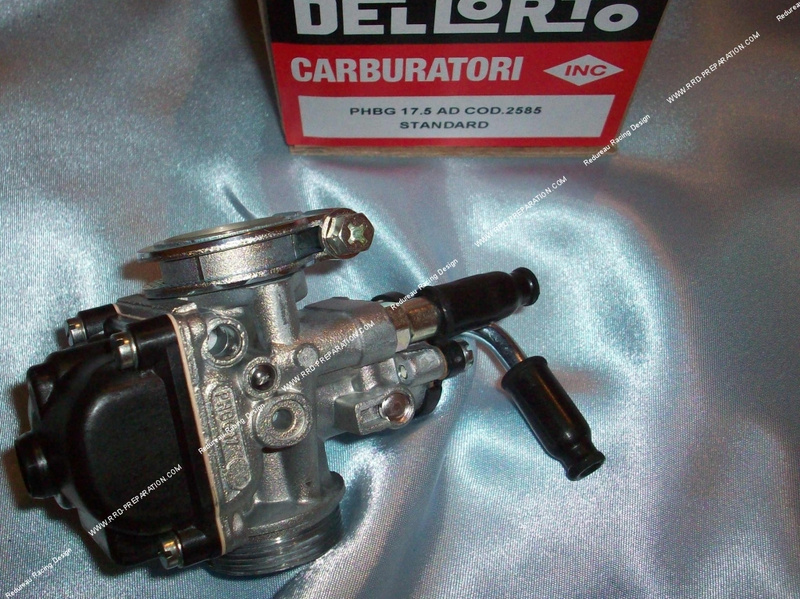 This cheap carburetor is of very high quality and has a multitude of settings: wealth screw, idle jet, needle bushel ... This model is the AD (also exists in BD model, AD, DS, DD, black edition, or BS), it is rigidly mounted with a choke cable, you can also switch leverage choke without difficulty. In relation to the SHA carburettor, this model is much more precise, performing well in the recovery, acceleration and peak speed. This model does not have separate greasing. Tip : accompany it with a pipe 17, 17.5 or 19mm, carbon valve strips, pipe a maximum aligned valves, you can simply use an original air filter but also a horn. Provide a range of nozzle 86 to 100 depending on the filter used. These accessories can be changed for better settings, although these carburetors are very well preset. All spare parts and settings can be found here.